* Lesson plan objectives and assessments can be adapted to use this activity with toddlers or preschoolers. Observe and record the child’s reaction to the paint. How did they respond? Did they use their whole hand to paint or did they use their fingertips? Be sure to take pictures during the activity to share with parents. These little trees make a beautiful addition to Thanksgiving and fall decor. 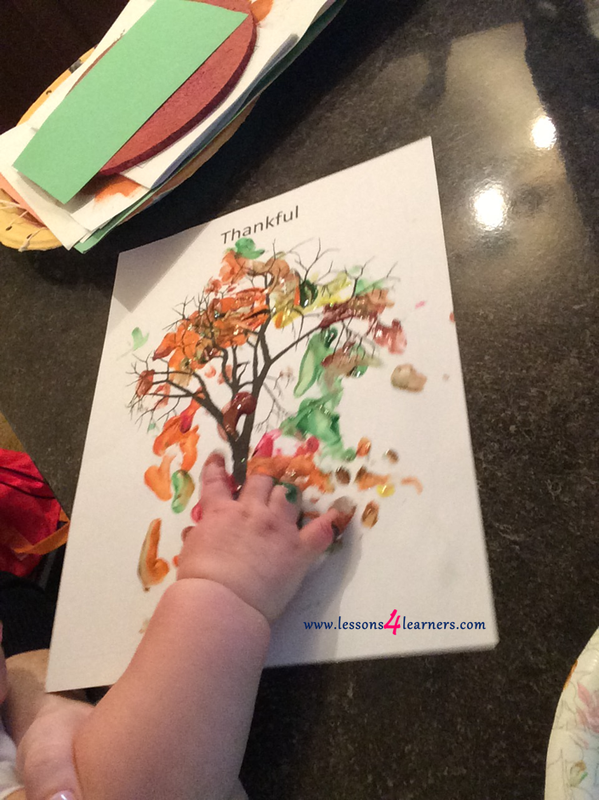 We used a paper plate with different dots of finger paint as a palate, and had the kids each use their fingertips to create different colored leaves. If You're Thankful and You Know it!